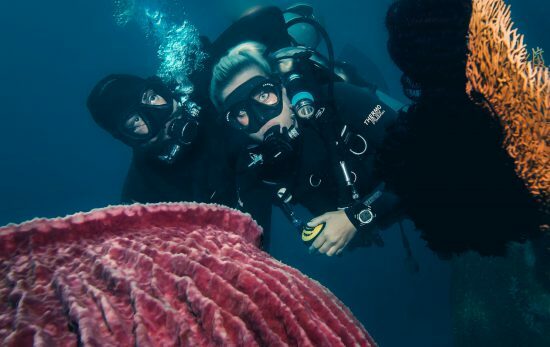 Mother of six, Donna Nestor Thacker, didn’t start diving until she was 35 but her interest in diving was piqued long before she became the matriarch of her dive tribe. After falling in love with diving while taking a resort course in Jamaica, Donna and her husband, James, decided to get certified while on their honeymoon in Grand Cayman. But after finding out she was pregnant with their first child, it wouldn’t be until 1994, after their second child was born, that she would finally get certified. With her best friend of 40 years, Barb Bright, by her side, the women completed their book and pool training at Beach Cities Scuba, located near their homes in Orange County. With studies complete, the pair finished their final certification dives at Aquanauts in Grand Cayman, with James and Donna’s two boys cheering them on from the sidelines. 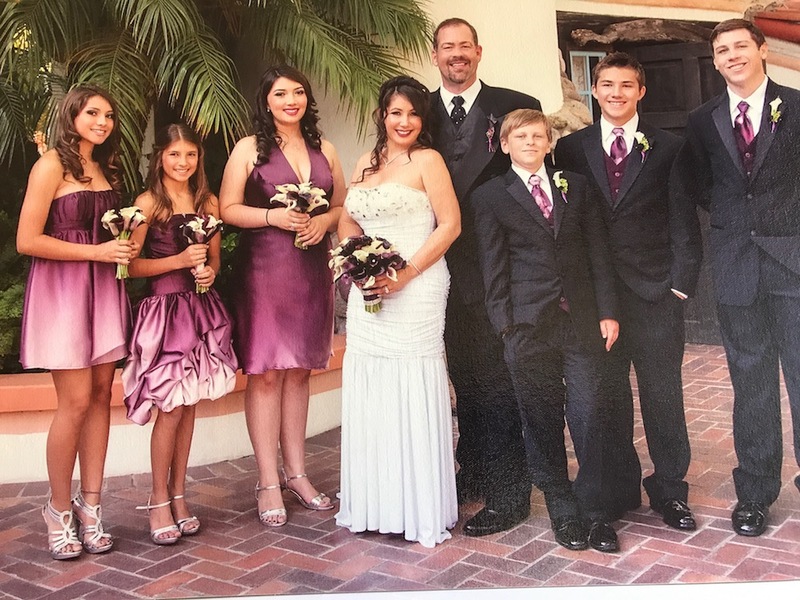 Four kids later, and Donna and her husband, James, would go on to enjoy dive trips to Cancun, Cozumel, and the Bahamas. Sadly, James would never be able to share diving with their children. He passed away from cancer in 2001. Almost a decade later, Larry, a certified diver who had also lost his spouse to cancer, asked Donna out and the two hit it off. It also didn’t hurt that Larry was once her son’s Little League coach. “We ended up going out and had so many things and likes in common and now we are here 10 years later,” Donna says. In 2009, the couple decided to celebrate Donna’s 50th birthday with a trip to Atlantis Paradise Island, in the Bahamas. The family vacation would include Donna’s four children and Larry’s two sons, the eldest, Alex, also a certified diver. When Donna’s now 15-year-old son, Jon Jon, mentioned he’d like to go diving as well, he followed in his mother’s footsteps and signed up for PADI’s three-day weekend program with Beach Cities Scuba, in Orange County. With another kid certified, the blended group was quickly turning into a family dive tribe. While in Atlantis, it didn’t take long for three of the remaining four uncertified kids to take a resort course. After that, they were hooked, too. In 2013, Austin, 17; Alexis, 14; and Nicholas, 13, made it official and got certified with Diveversity Piscadera while on a family trip to Curacao. With five of the six kids certified, Donna hasn’t completely given up hope on her eldest daughter, Aubrie, 26. And while Aubrie suffers from motion sickness and a fear of going underwater, she does enjoy snorkeling, something the entire family continues to do as a group. That incredible experience took an even brighter turn when Larry proposed to Donna after a day of diving in Fiji. 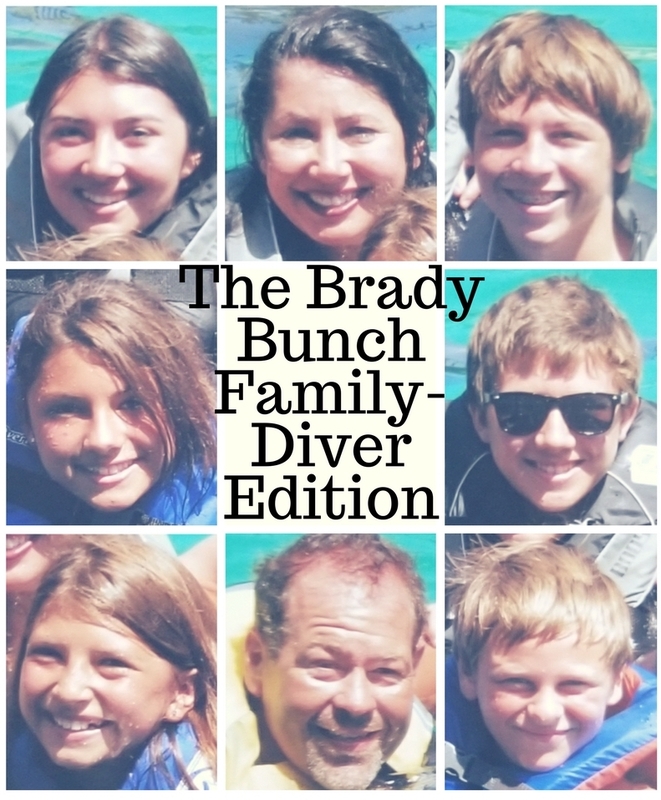 With a combined family of six kids, three boys and three girls, Donna, Larry and their adventurous crew make quite the dive group. And while there’s still one non-diver left in the group, this is one family that still knows how to make the most of their time together, both above and below the surface.